STRATFORD—Mike August isn’t a big fan of cake. The celebratory frosted desert, that is, not the 1990s alternative rock band by the same name. So, August opted instead to celebrate his birthday on Thursday with a 60-48 SWC basketball win over New Fairfield at the Needham Gymnasium. Jack Ryan—who had a hand in all 12 of his team’s points in the opening quarter—scored a game-high 19 points to lead the Red Devils effort while August added 16. Preston Williams chipped in with 10 more. The Red Devils improved to 6-4 as they reached the midway mark of the season. It was Stratford’s third straight win. Stratford started fast, racing out to a 10-2 lead on New Fairfield but could never full but the last dagger into Rebels. 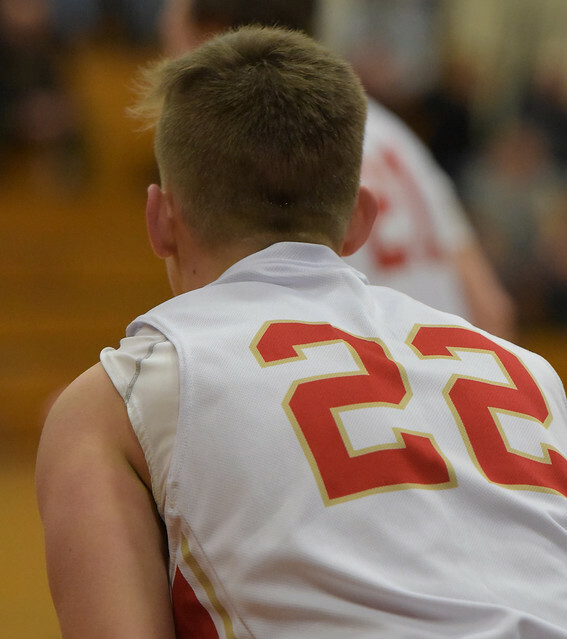 The Red Devils had built a 29-18 lead late in the first half, but New Fairfield put together six points to end the second quarter and opened the second half on a 6-2 spurt to cut the lead to 31-30. Time and time again, though, Stratford was able to answer keep a cushion. An August bucket, two Ryan foul shots and a Joe August scored pushed to seven and Stratford took a 9-point advantage (42-33) into the final eight minutes. It was big 3-point shot by Williams that got the lead back into double-digits at 46-36 for Stratford early in the fourth quarter. Down the stretch, Stratford went 12-for-14 from the foul line to ice the game. Ryan helped set the stage for the night, having a hand in all 12 of Stratford’s first quarter points and 14 of their first 16, too. The senior guard set up Joe August and Williams with Stratford’s first two buckets of the game before hitting back-to-back 3-pointers to make it 10-2. Another bucket by Ryan helped Stratford take a 12-8 lead after one quarter. Another bucket by Ryan early in the second quarter increased the Stratford advantage to 16-8—a lead that would grow to 11—but the Rebels weren’t about to go away. In the end, though, Mike August got the celebration he wanted as Stratford was able to pull out the win. The Red Devils return to action on Saturday at noon with a non-conference road trip to Brien McMahon in Norwalk.